If a large part of RV travel’s appeal for you is the ability to take your toys to the coolest places around the country, you’re going to want to explore the possibility of owning a toy hauler. From mountain biking to ATVs and even those winter sports that are in season right now, a toy hauler means you don’t have to leave your favorite things back at your house. The back of a toy hauler opens up, with the door serving as a ramp that you can use to get your toys up and down. The open space at the back serves both as a sleeping area and a garage. The new 2018 Jayco Octane Super Lite 161 epitomizes everything good about toy haulers. 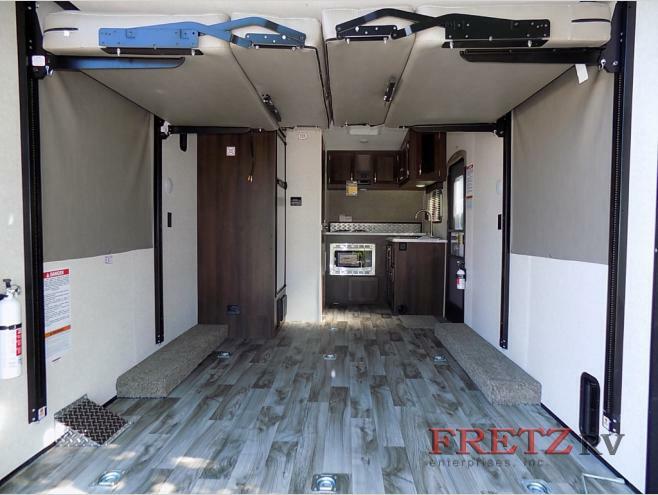 At over 20 feet long and nearly 9 feet wide, this toy hauler can handle most of your goodies, from snowboards to jet skis to kayaks and everything in between. This model is great if you are looking for something on the light, quick, and easy side of toy haulers. The kitchen is up front and features a sink, microwave, range. The unit also provides a 7-foot ramp, a table that can be used indoors or removed for outdoor use, and an 11-foot awning to shade you from the sun and inclement weather. It also features chocolate maple cabinetry to store all of your dinnerware and cooking supplies. 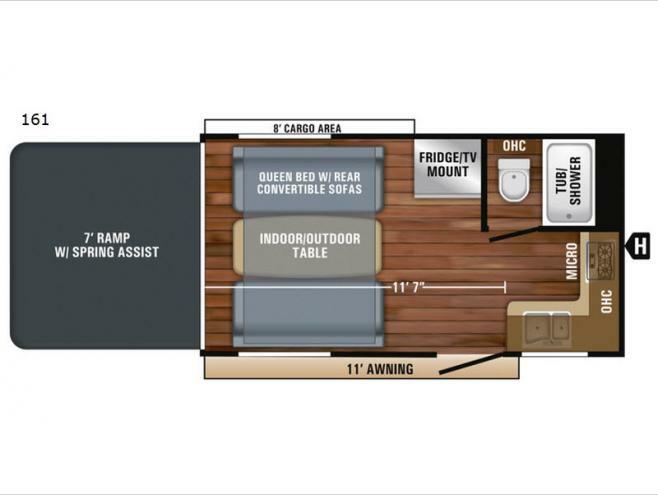 The toy hauler is rated for up to two people to live comfortably, but can handle four people if you’ve got some friends that want to come along for the adventure. 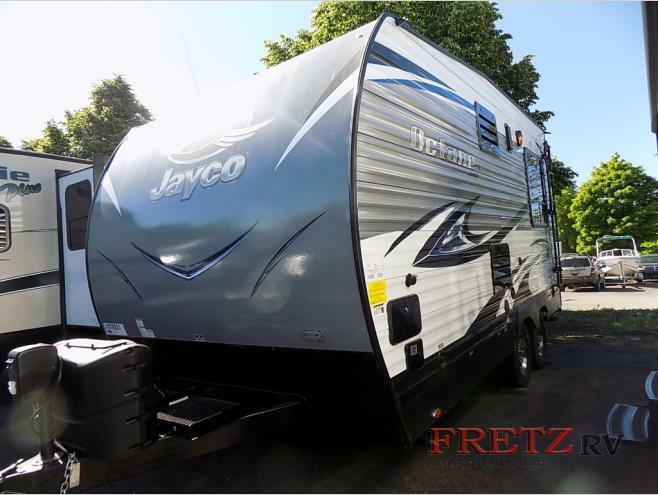 Though the Jayco Octane Super Lite 161 has an MSRP of $32,414, it’s available right now at Fretz RV for just $21,995. Come check it out in person today and find out if it’s the right rig for the travels you have in mind.